Less than three months after unveiling a five-year esports plan, PUBG Corp has partnered with StarLadder to launch the first professional PUBG league in Europe. The PUBG Europe League (PEL) and Contenders League will start in January 2019 with teams from Europe, the Middle East, and Africa. Qualifications for the leagues, which boasts a combined $1,000,000 prize pool, open in October and run until the middle of December, culminating in a LAN event with 32 teams. PUBG Europe League will also have a promotion and relegation system, allowing the very best from the Contenders League to move up and progress, as well as keeping the competition fresh. 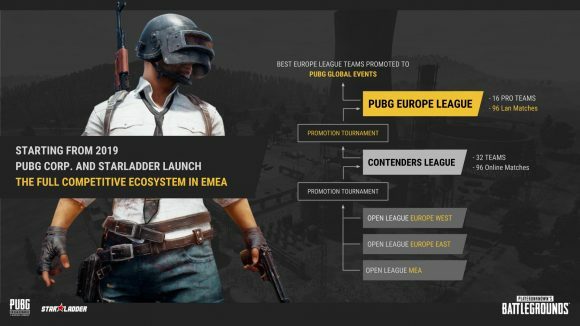 “Taking the next step in our five year plan, the PUBG Europe League brings more consistency with regular matches from professional teams, bringing an increase in competitive matches for the fans and players of PUBG to get excited for and watch,” Alex Nam, head of EMEA business at PUBG Corp, says in the press release. Once decided, the teams will compete in a specially-designed LAN studio in a so far unannounced European capital. And, to help teams along the way, PUBG Corp will provide accommodation, travel support, as well as share the revenue from the league, with each of the teams. 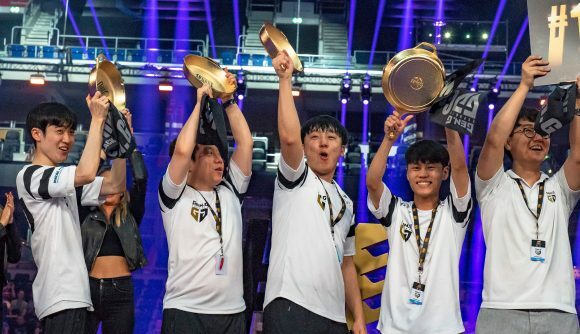 And if that isn’t enough to motivate players, the top-performing teams from the league will have a chance to qualify for an international event at the end of the season, where the best teams from each region will go after chicken dinners to become the season’s champion. As we all know though, PUBG isn’t the easiest to watch, and although the viewing experience has come on leaps and bounds since the Global Invitational in Berlin in July, there’s still a long way to go. But, it seems StarLadder is aware of these issues and has promised to impress. The Global Invitational in July proved the demand for PUBG esports was there, and there certainly seems to be a buzz around this announcement. It’ll be interesting to see if the numbers match up with Berlin and how StarLadder turns this into a tournament worth watching.